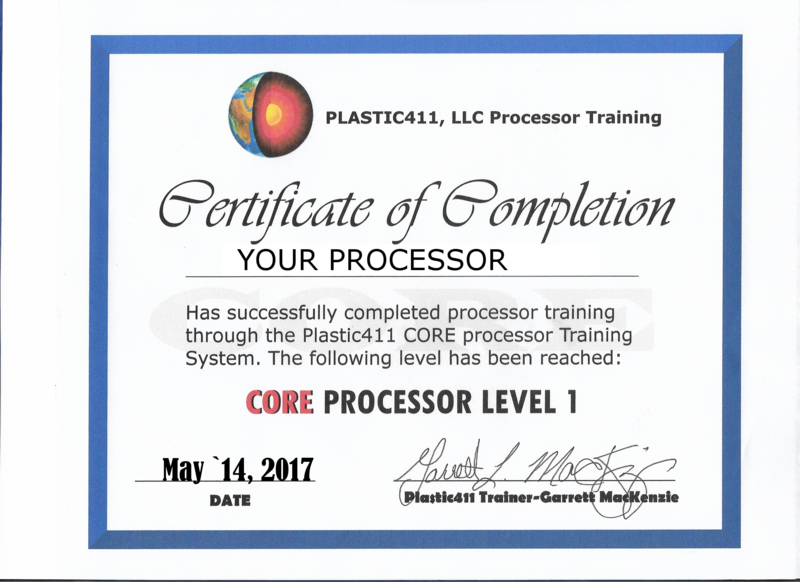 Welcome to the Plastic411 Processing Assessment. 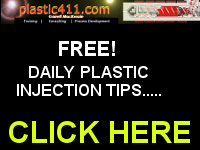 Upon completion, this test is designed to identify plastic injection skill level. 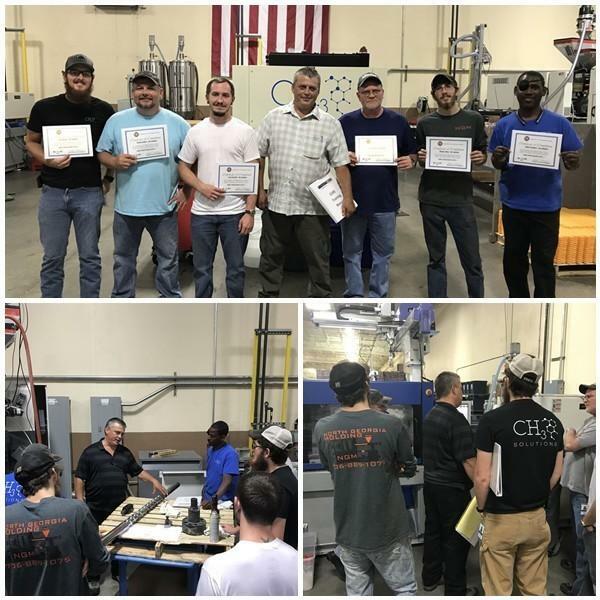 Skill range is from material handler to process engineer. 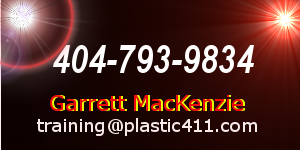 Thanks from Plastic411 for your request! We will respond as quickly as possible. #4 What steps are taken to develop a decoupled molding process? Both material and colorant are added to hopper for mixing. Hold and pack are removed from process. Shot size is adjusted to produce part at 95-98% fill. Pack and hold are added back into process to complete fill of part. Hold and pack are reduced 30%. Part is filled quickly to 80%, and then pack and hold are added back to fill out part. Shot size is adjusted until part flashes at parting line, then lowered until flash goes away. #8 Which of the following shows an example of a submarine gate? 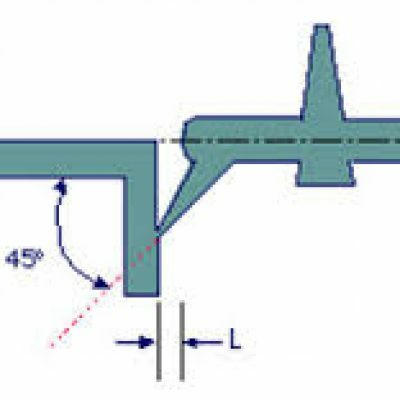 #13 Shear heat from the screw rotation and back pressure supplies 70-90% of the total heat in the screw. Heater bands supply the rest and help prevent fluctuations. #14 When venting a mold, what percentage of the cavity parameter should be vented and at what spacing? #15 A press uses 85 pounds of material per hour, producing 170 parts. 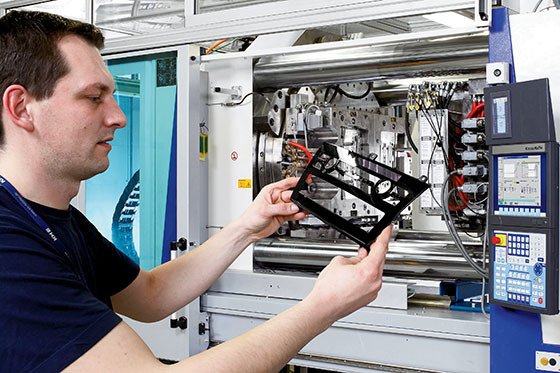 How much material will be used in 5 hours, and how many parts will be produced? How much does 1 part weigh? #16 The flash pictured needs to be corrected using process changes. Choose answers below to correct condition. a>Verify that shot size is correct by removing pack and hold. If part is not at 95-98% fill without pack and hold, correct and add hold back until part is full and defect has been fixed. #17 Gassing is common with many materials, such as nylon. 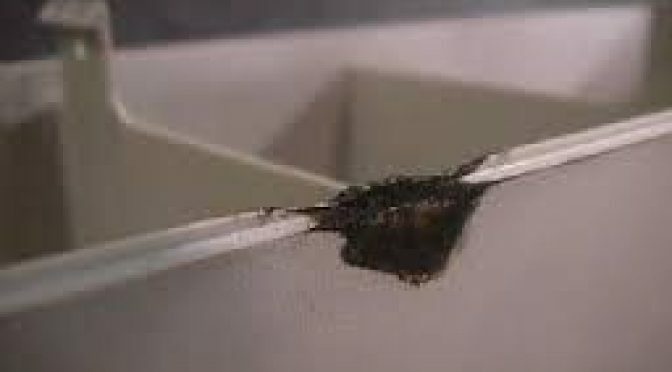 How often should a mold be cleaned and checked for proper greasing? #19 What reasons below might lead to an erratic and inconsistent cushion? #21 Runner size should be ____________ the wall thickness dimension of a part. #22 When is it important to close a mold in set-up mode? #23 This part has signs of heavy splay at end of fill. Which of the following changes may improve the condition, or identify the cause? #25 This burn defect is on every shot. The burn is occurring half way through the injection. If the part has a 10″ inch shot size, how should the injection be profiled? 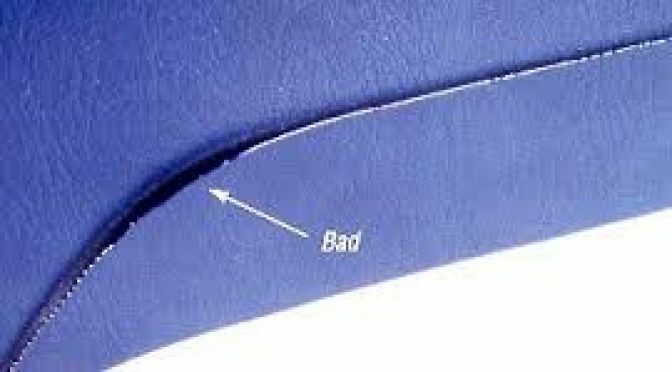 #26 If this part was pulled from the mold with the side marked “warp” being the stationary half, what adjustment would you make to get rid of the warp (after you checked to make sure mold set up was correct)? 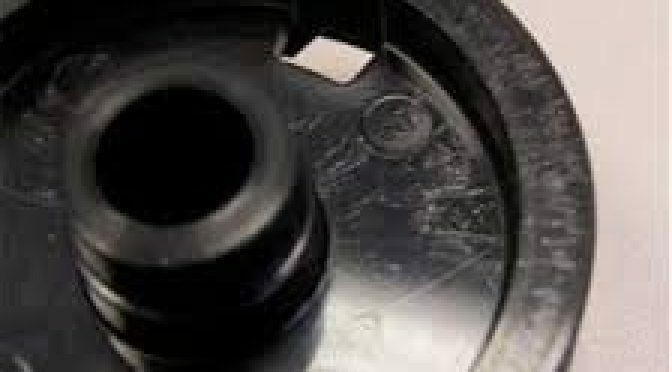 #27 Where in the screw does the majority of plastic melting occur? #28 If bar x is moved to the right, what direction will the gears move the bottom bar? 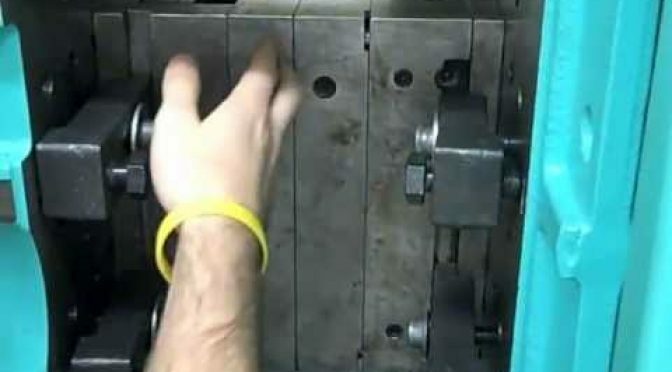 #30 T or F: When changing a hot runner mold, hot runner can be heated to temperature 30 minutes prior to changing mold to reduce mold change time. #31 When making a change to back pressure, how long does it take for barrel temperature to stabilize? #32 After confirming that melt temperature is in the middle of the melt window, what happens to material viscosity and fill time when heats are raised? #33 What is the normal drying time and temperature for unfilled nylon? #34 What conditions lead to bubble (void) defects in a part? #35 What is the purpose of a nylon tip? 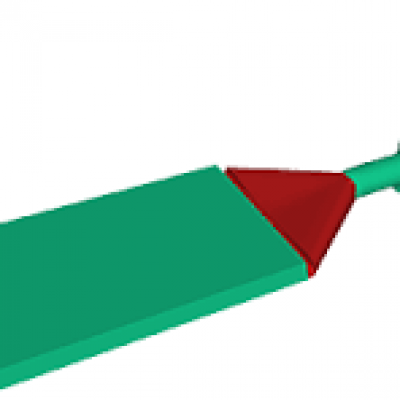 c. The nozzle tip should be changed if a nylon tip was used. If same tip is to be used, tip face must be cleaned. #38 True or false: Size and shape of material from grinder does not affect how it mixes with virgin material or the production process. #39 The material manufacturer recommends a melt window of 500-550 F, and the melt temperature checks at 546. 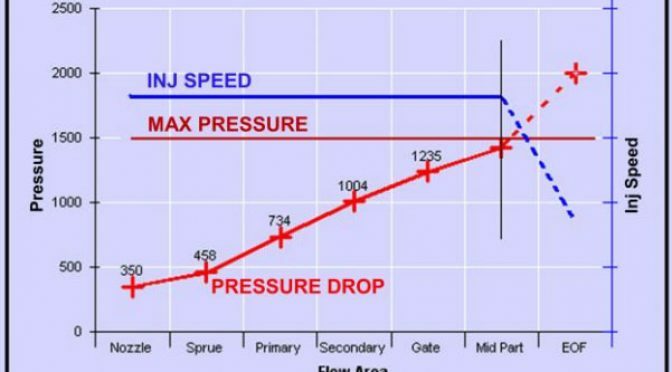 What result might you get if you increase back pressure? #40 Parts you are producing are too small according to print. What changes might you make to increase their dimensions? #41 T or F: A part that is short (not completely filled) and has flash should be checked for signs of tool damage or wear at the parting line. #42 What is the drying time and temperature for Polypropylene? #44 When making a change from injection to hold pressure (cut-off), how long does it take for the change to take effect in the process? #45 Which is the best method of ejector set up? #47 When making changes to back pressure, how long does it take for those changes to take effect? 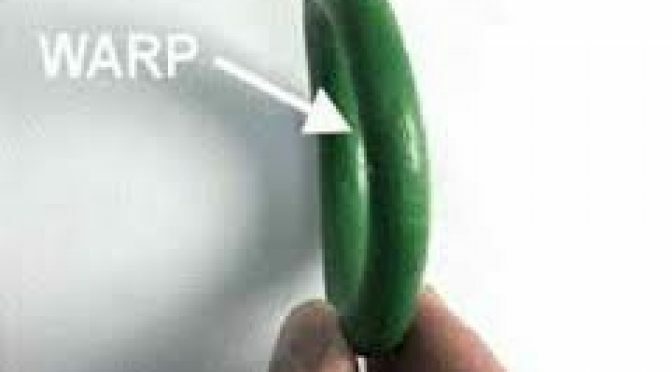 #54 Polypropylene regrind can be used over and over, with little effect on process control. 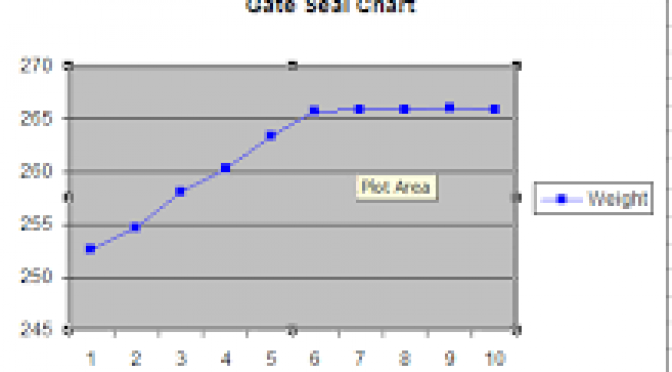 #55 Molds that have valve gates set up properly require a gate seal study once a process has been established. 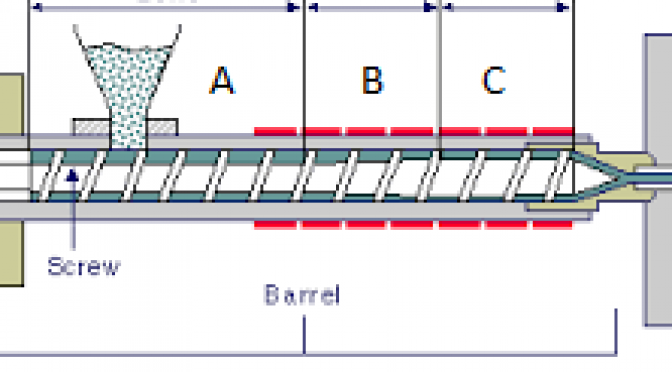 #60 Which Screw/ Barrel measurements best identify cause for inconsistent cushion? #61 Which material used for purging doesn’t belong? #62 You are trying to acheive 95-98% fill with no hold pressure. You are currently at 80%. 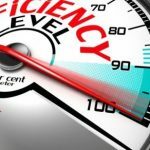 What adjustments can be made to achieve 95-98%? #65 T or F: Low Pressure close should be set to the minimum pressure required to achieve lock up pressure. Increase the temperature of the cavity with a burn, and lower the temperature of the part with low part weight. #99 T or F: Hot runner temperatures are generally used as an extension of nozzle temperature into the hot runner manifold. 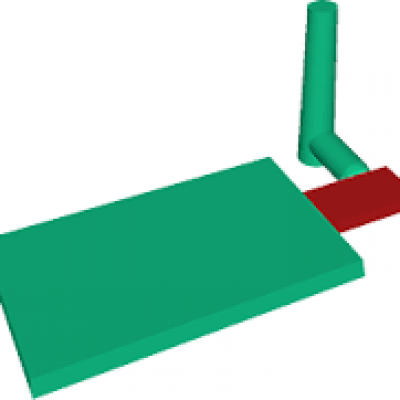 As such, nozzle temperature and manifold temperatures are usually the same. #100 T or F: Raising barrel and mold temperatures leads to increased peak pressure and viscosity.